Idaho's Middle Fork of the Salmon for the fly fisherman floating and fishing Idaho's Middle Fork of the Salmon is a dream come true. 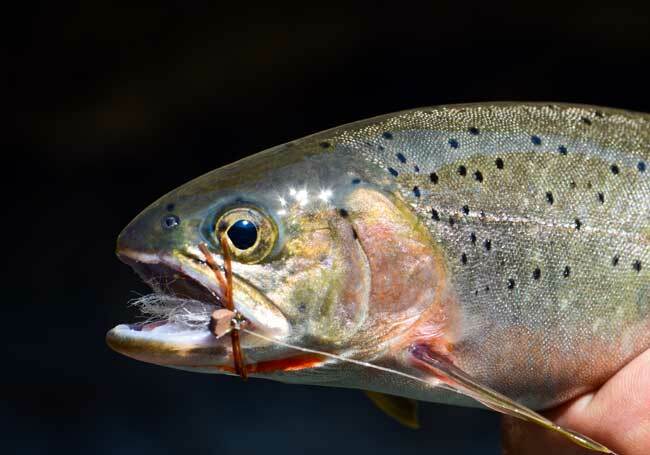 The crystal clear waters are home to a high concentration of West Slope Cutthroat and Rainbow trout very willing to explode from their lair to devour your fly. Believe me, they are not finicky! The Middle Fork Salmon River became a "Catch and Release " stream in 1973, which has enabled the fishery to expand to the rivers full capacity. Our maneuverable drift boats allow for easy access to all fishing water while our guides will offer patient instruction to further the enjoyment of our guests. The majestic Middle Fork of the Salmon River will leave you breathless. From dazzling whitewater rapids to precipitous granite walls towering 1500 feet, you will beckon to see around every bend of the 100-mile journey through the most rugged and inaccessible wilderness in the lower 48 states. During our six-day journey you will experience abundant wildlife such as bighorn sheep, deer, river otters or an occasional mountain goat. Beautiful campsites will meet your day's end and quite possibly the soothing waters of a hot spring. 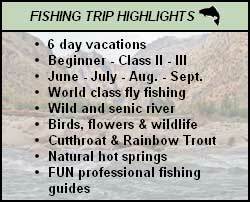 "Our fly fishing trip on the Middle Fork of the Salmon River with you guys was great! It was better then everything I had ever heard. You've got to experience it for yourself to really appreciate it"
Select your outdoor adventure vacation in Oregon or Idaho. 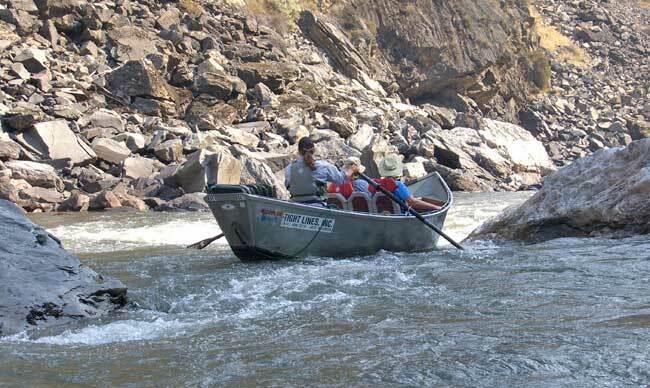 If you want to fly fish your family/friends can ride in a whitewater raft on the same trip. 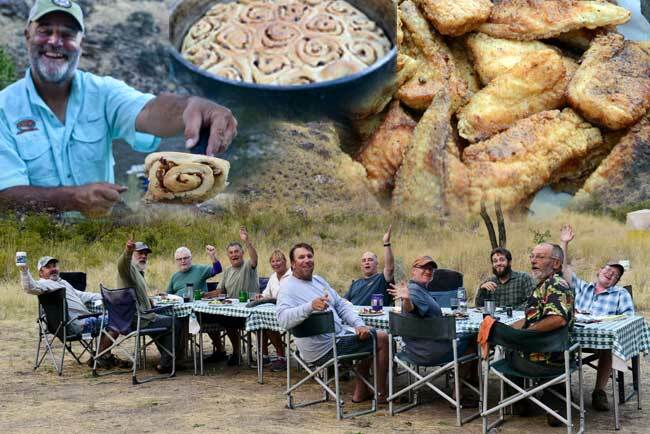 Permittee USFS & BLM  Member Oregon Outdoor Assoc. 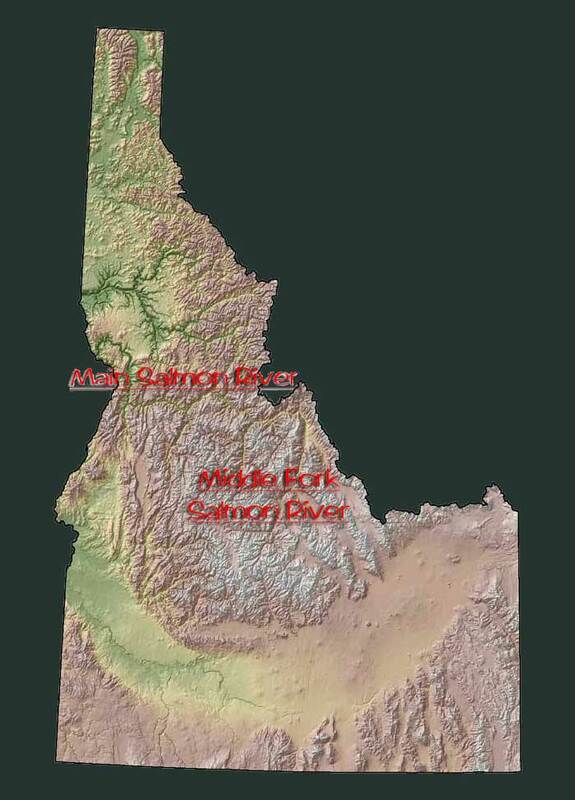 Middle Fork Salmon, Main Salmon, Rogue and McKenzie Rivers issued by either the Bureau of Land Management, Forest Service or both. Middle Fork Salmon River operations are conducted through Challis Ranger District on the Challis, Boise, Salmon and Payette National Forests.